Equine Guided Coaching is an unique and proactive approach to personal development. It shows us when we are authentically being ourselves. 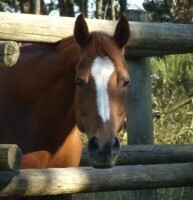 Working with horses enables people to quickly discover insights and take immediate action in creating a desired change. Horses respond to what is happening in the moment. When interacting with humans, horses respond to what we are actually communicating, not what we think we are communicating. They understand our intentions, often before we do. Interacting with horses provides the opportunity to gain heightened awareness of our actions. Horses have no agenda. They give us the chance to learn what is profoundly difficult to learn from our human relationships. Their feedback is honest and instantaneous. The horses herd structure and its survival parallels the world we live in today. Everyone has an important role and a contribution to make. Mutual respect leads to mutual trust. Natural leaders bring out the best in everyone. ​​Stacy is the founder of Centaur Development Wellness Ranch in Snohohmish, WA. She has two decades of experience in personal development, life coaching and equine based learning. 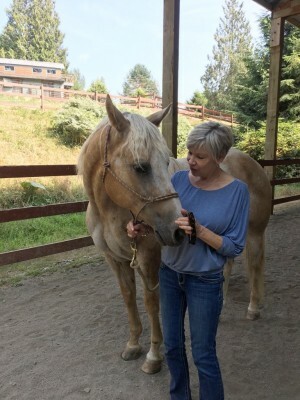 Ten years ago, she combined her passion for life coaching with her love for horses and designed an unconventional approach for human development based on the powerful experience of teaming horses with people. Her powerful approach to helping her clients explore, develop and materialize their life passion has grown from her 18 years as a life coach. She has offered these Equine Facilitated Learning Programs to a wide range of people, including businesses, spiritual organizations, children and adults. Stacy lives and works on her ranch. When she is not developing new workshops at home she can often be found trail riding and camping in the lovely Pacific NW with her husband and friends. She enjoys swimming, reading, meditating, yoga and connecting with friends and family. ​Ella has been with us for 14 years. She is 16 years old. She is the "alpha mare" of any group and our super star! Zea is 14 years old and has been with us for the last ten years. Ruth is Ella's baby sister. She joined our heard when she was four months old. Now she is five. Ruth is our most spirited member. She is learning to manage her energy and helps people to work with their own energy as well. Read about Ruth's conversations with Animal Communicator Darcy Pariso in Animal Spirit Journal. Gee often leaves participants in our workshops with deep meaningful messages. We are honored to have Gee in our herd.